The Southern Health and Social Care Trust has appointed an Alcohol Liaison Nurse for three years, as part of our Impact of Alcohol funding. Andrea Judge with her colleague John McGarvey. Andrea Judge is the new nurse at Craigavon Area Hospital, advising staff how to identify and care for patients with alcohol related issues. She will be ensuring that patients and their families get the specialist help that they need. This includes linking patients with community services to address the patients’ lifestyle and behaviour and hopefully prevent future alcohol related hospital readmissions. 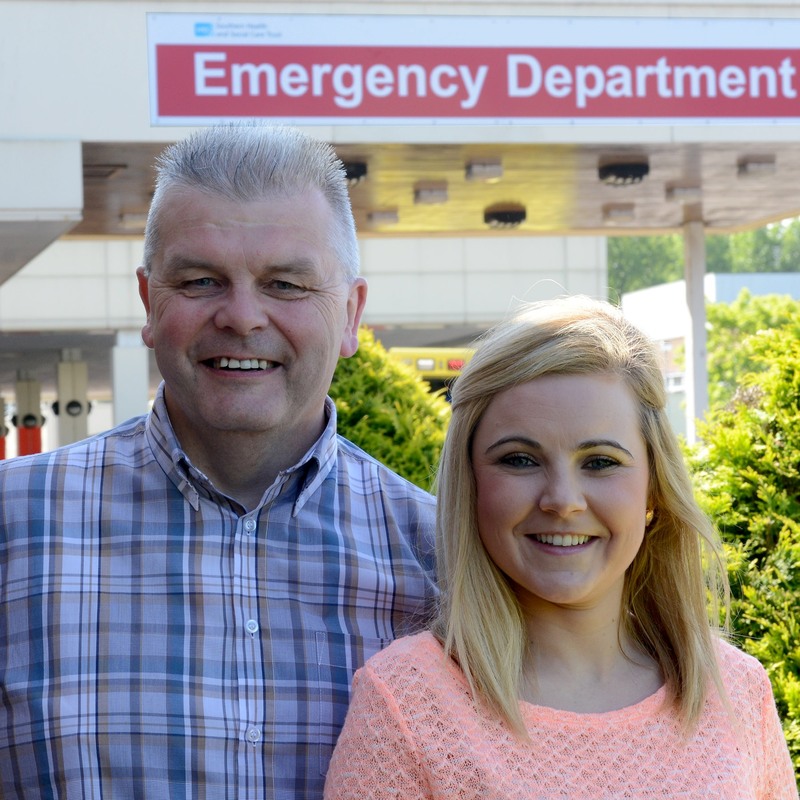 Andrea’s new role is a first of its kind in Northern Ireland to support general hospital staff to deal with alcohol related issues. Kieran Devlin, Southern Trust Impact of Alcohol Portfolio Manager, explains: “Increased alcohol consumption has led to a year on year increase in alcohol related hospital admissions in Northern Ireland, costing the health service millions of pounds and having a major impact on public health.